A few months ago I was looking for a new phone and I thought about buying one of the top-class phones available through credit. Since I had a stable income through streaming, I imagined that I could probably afford it. At that time, however, I decided against it and I simply bought a phone that can do what I need and I paid for it in cash. In hindsight, that was a good call. The streamer contact I and many others had have been terminated abruptly and the income disappeared along with it. If I had taken on that debt to buy something that’s far too expensive for my needs, it would have become quite a problem. Thankfully, the lessons I learned about avoiding bad debts helped me make a good choice then. Some lessons need an entire book while others need only a few words. The value of an idea isn’t measured by how many words it used but in how well they teach us the things we have to learn. It’s for that reason why I frequently share quotes in most of my articles. When used well (and I hope I used them well), they can make enough of an impact to hammer the lesson home. 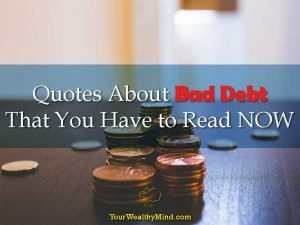 Let me share with you these 10 quotes about bad debt which I hope will inspire you to think twice about using debt to buy things you can’t afford. While we’d like to think working harder will make us more successful, the reality is that it won’t. There’s more to it than just adding in extra effort. 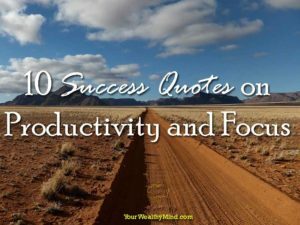 What do you need to improve your productivity? 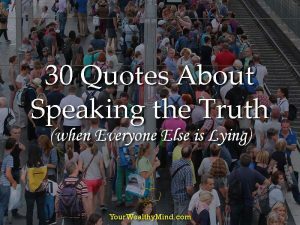 Here’s ten valuable insights from ten different people. Stress from work, bills to pay, and all sorts of problems popping up every day. 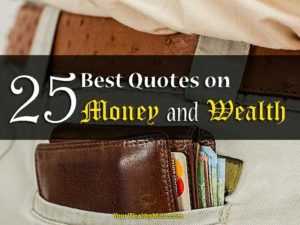 All of them can make life seem hopeless sometimes and you probably think that what you have now, a life living paycheck to paycheck, is all that you’re ever going to get. You could even think that mediocrity, failure, and even poverty are all normal. What you SHOULD have and what you’re DESTINED to have is wealth and success. 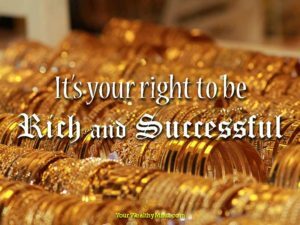 It’s your right to be rich, and no matter how much you think otherwise, you are deserving of it as you work to earn it. Remember these quotes if you ever start to doubt that.